some of the first beers released under the watchful eye of new Production Manager Colin Stronge (previously of Buxton Brewery) - and obviously we're suckers for the big boozes. We drank them to celebrate the start of our anniversary week off, and here's what we made of these two behemoth releases. Invitingly aromatic, from the nose alone this could practically be mistaken for a glass of fresh pineapple juice. More pineapple on the palate alongside ripe mango and melon with a silky caress of caramel, it's soft and sweet with a sumptuously full mouthfeel. Although we weren't drinking it at it's freshest (the best before date is next month, although at less than three months old and tasting this good we'd argue it could have longer on there) it was still absolutely bursting with an abundantly tropical hop character. Very easy drinking for the ABV and ridiculously well balanced. 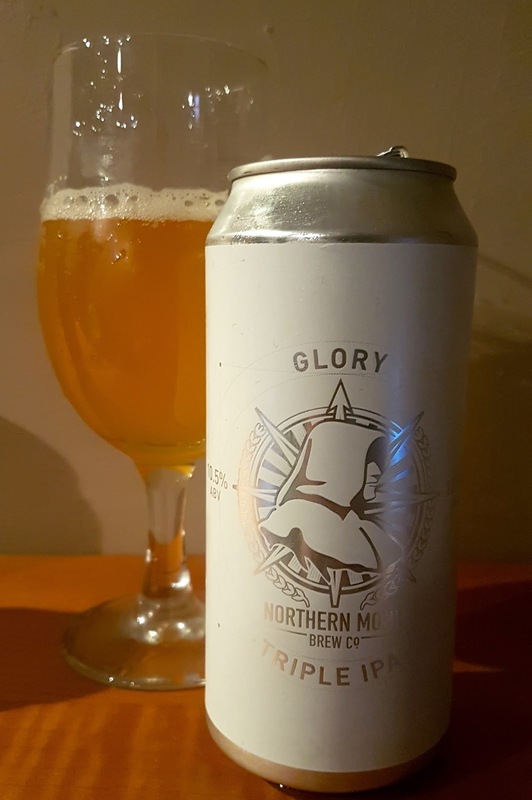 Glorious indeed. This is a BIG beer. A rich, sweet, aroma reminiscent of black treacle fills the room, let alone the glass, as soon as you pop the can. On drinking, the high ABV is definitely apparent but it manages not to overwhelm the palate, having a nicely balanced yet heavy roast character. There's freshly ground coffee with two sugars and just a dash of cream alongside decadent dark chocolate and just a hint of dried red fruit and berries. The finish reminds you that this is a boozy beer with a lingering, bold residual sweetness sitting proudly alongside a lasting bitterness. No, we didn't Black and Tan them. Sorry.